Although mindfulness can be located in a number of different traditions and disciplines, it was originally an esoteric and powerful practice based on developing a capacity attainable only by certain people. After previously publishing on the positive outcomes, in this book the author identifies a range of adverse effects of mindfulness meditation for some individuals that, from the point of view of mindfulness in schools and higher education, represents uncharted territory. 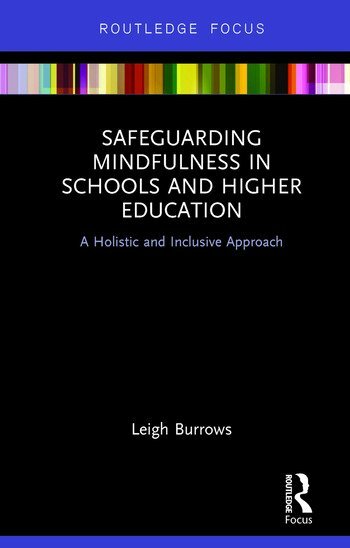 The author demonstrates through research, personal experience and case studies how mindfulness activities can be safe for all students in education settings including the most vulnerable. This book assists teachers in school and higher education settings to make informed decisions about whether to include mindfulness in their teaching, depending on their own capacity, student cohorts and activities to make sure it is safe for more vulnerable students. This guidance is based on a combination of existing pedagogical and clinical knowledge about meeting the needs of vulnerable students, clients and patients and the specialized expertise of trained mindfulness clinicians and teachers. This book puts school and university teachers in the driver’s seat as regards mindfulness teaching in education settings. It argues that the only way forward for mindfulness in education is to adopt an individualized approach which builds on what effective teachers already do in their work with vulnerable students through extending their knowledge about mindfulness and its possible effects. In this way teachers’ existing skills are celebrated and extended, and mindfulness pedagogy develops organically with teachers, becoming a genuine and felt experience both for themselves and their students rather than an ‘add-on’ intervention. Chapter 2: ‘Turning the Lens of Mindfulness on Ourselves’: the significant role of the teacher. Leigh Burrows has a wide background in primary, secondary, alternative and higher education teaching and research. She has held advisory roles in special education, well-being and students at risk and is a qualified solution-focused counsellor who is passionate about the transformative potential of a holistic and inclusive approach that is deeply informed by her 30 years of meditation practice. She has published in the areas of relational mindfulness, spirituality, well-being, teacher professional learning, autism, trauma, dyslexia, and parent-teacher relationships. She has developed the Masters in Education topic Mindfulness and the Inner World of Teaching and presents workshops on mindfulness to a wide range of professionals.